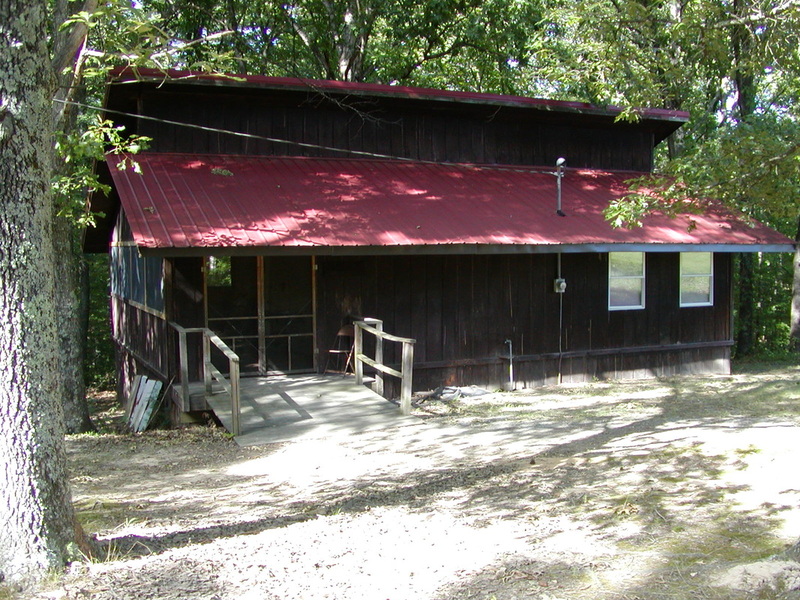 We have three air-conditioned cabins with restrooms, showers, and enough bunk beds to sleep up to 50 people. 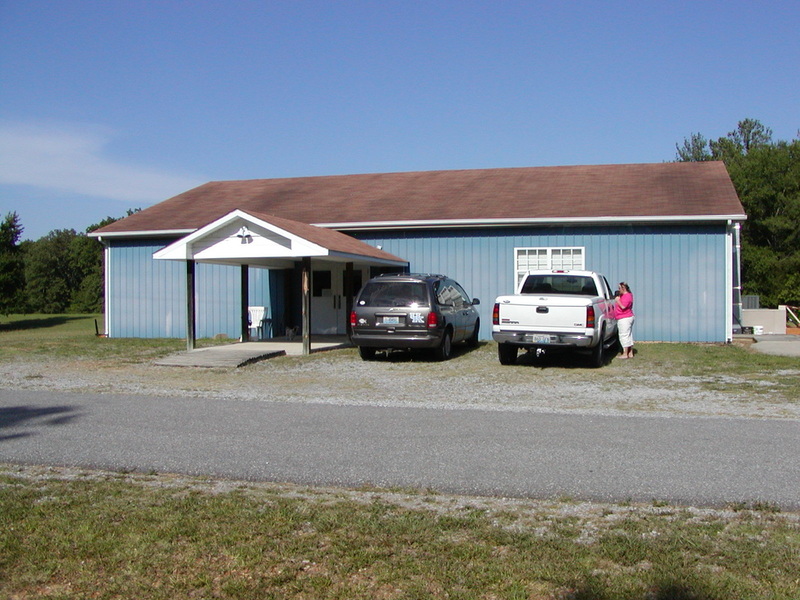 This is the main building where most of the worship, lessons, and meals happen. The kitchen and space here can serve warm meals to about 60 people. 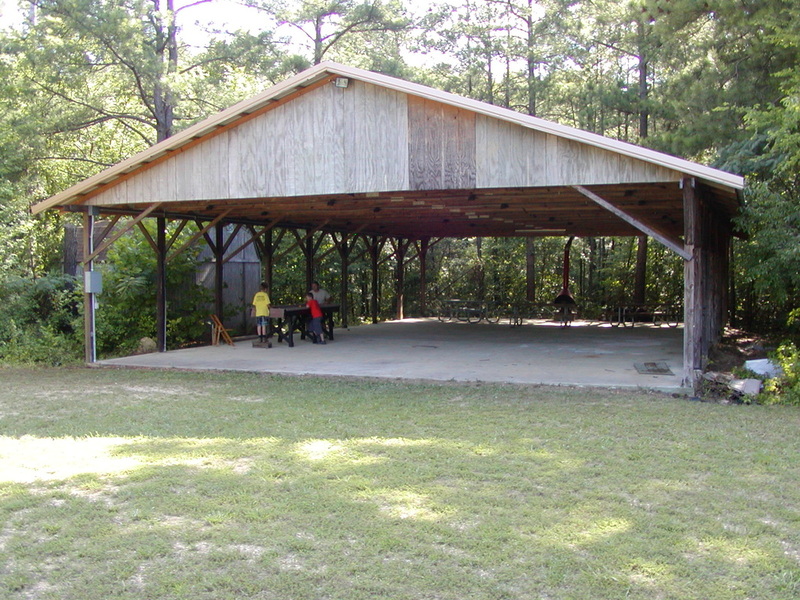 We have one large, open-air pavilion with a fire place, and three smaller pavilions throughout the camp. 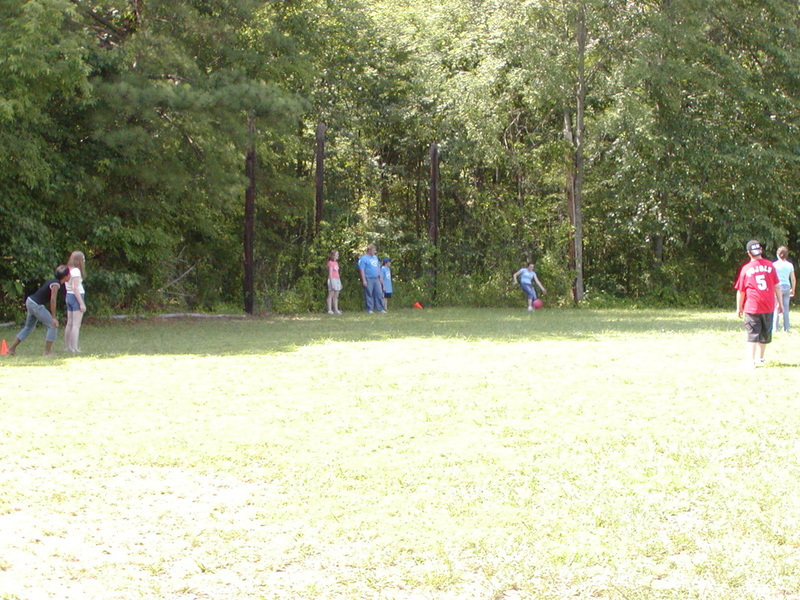 Great for games, small groups, quiet reading time, or just relaxing in the shade. 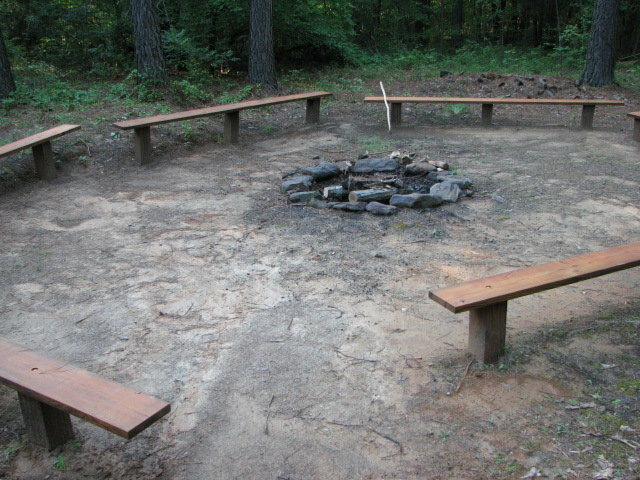 This is a cozy little spot typically used for night-time lessons around a fire, for winding down after a long day of fun and learning, or for roasting hot dogs and marshmallows. We have a baseball diamond, volleyball nets, a basketball court, swing sets, trails in the woods, and large, wide open fields to fill up any down time and host large games. A nice new playset was added last summer that the kids really enjoyed climbing on.